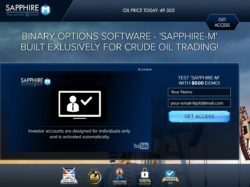 In this review we explain why you should not trade binary options with Sapphire M. It is presented by Lisa and Jason Stephens. 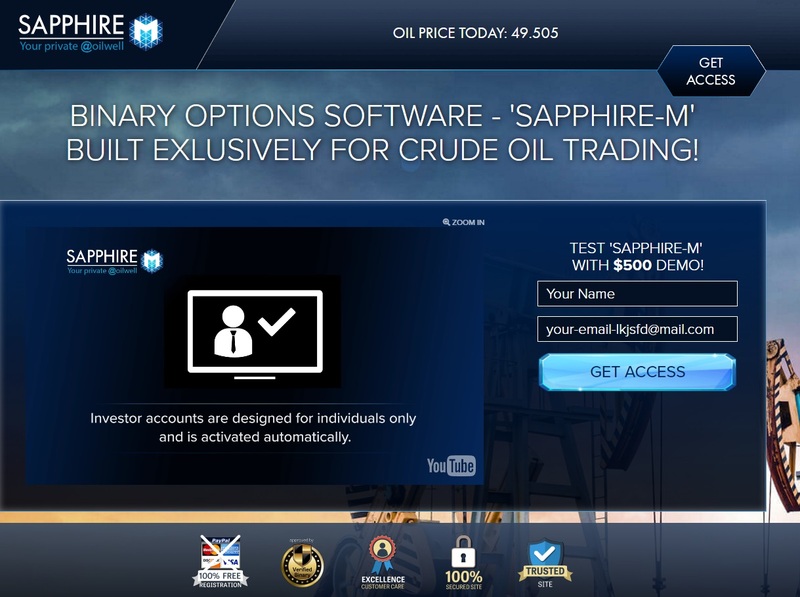 Sapphire M is a binary options trading platform that generates trading signals that allegedly can make you money on oil. First start with Lisa and Jason Stephens. We are pretty sure that they real names are different. Look at the picture and you will see that this same couple made a video on a online dating website under different names. So these people are very probably just paid actors. There are no real binary options traders behind Sapphire M, the real owners of the system remain anonymous. When you sign up, there is another guy who will guide you through the member’s area. But this guy is a known binary options scammer. Look at the picture and you will see that he already played in the Bahama Banker scam, he is just a Fiverr actor who will do anything for five bucks, including scam endorsements. We made this review on a weekend, so we could not test the Sapphire M demo, but we have every reason to believe that the demo is faking results. Because no binary options trading system has a 100% win rate, yet this is what Sapphire M is pretending to have. So if you try their software, be sure to compare the trades with a genuine demo account with a regulated broker. We are pretty sure that you will find differences. 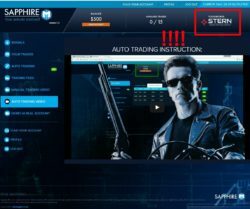 When you register with Sapphire M, they will automatically create a trading account for you with a broker that is not regulated! Because the broker is not licensed, it is already illegal in a lot of countries. Then you will have the demo to test it, but as we already said, we believe that the demo will generate fake profits. The main aim of Sapphire M is to make you deposit money through their software with their affiliated and unregulated broker, because it will earn them an affiliate commission. If you then let the software trade with your real money, it will lose it. Sapphire M is an obvious scam that wants you to deposit and lose money with an unregulated broker. There are no free money making apps for binary options, they are all scams! If you want to start earning money in trading, open a free demo account with a regulated broker and test and learn to build a profitable strategy. Nobody will do that for you.